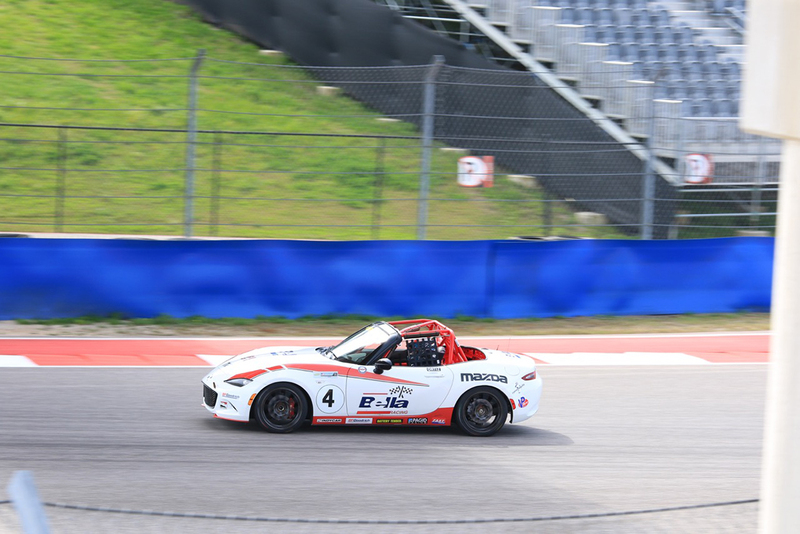 Hot off the heels of a solid performance at the opening round of the Battery Tender Global MX-5 Cup Presented by BF Goodrich, Copeland Motorsports will enter the same quartet of drivers this coming weekend in Alabama. Set to take on the 16-turn, 2.38-mile Barber Motorsports Park, Bryan Ortiz, Michael Carter, Tyler Gonzalez and Tyler Maxson are aiming to improve on their top-ten efforts less than two weeks ago. Leading the way to Barber will be third place podium finisher from race one, Bryan Ortiz. Scoring three wins in 2018, Ortiz is one of the favorites in the championship points chase in 2019 and came out of the box strong at the Circuit of the Americas. Mazda Motorsports driver Michael Carter was another driver that impressed at the first event in 2019 and showed why he is carrying the Soul Red colors for Mazda after claiming the Mazda Road to 24 Shootout scholarship late in 2018. Tyler Gonzalez and Tyler Maxson also secured a pair of top-ten results each in the first event as both drivers had to come from deeper in the field to get where they were when the final checkered flag flew. 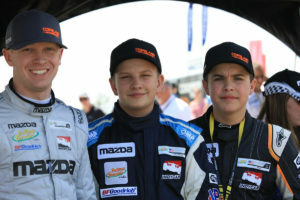 Maxson progressed forward to run inside the top-five in race one while Gonzalez went on to garner the Hard Charger Award in race two as he gained the most positions of any driver on track. With a slightly different format for races three and four of the season, Copeland Motorsports drivers will take to the track on Thursday for a pair of Promoters Test Sessions before the standard two practice sessions on Friday. Saturday will see one qualifying session with the two fastest laps of each driver setting the grids for race one and two with both race events taking place Saturday afternoon and evening to finish the weekend. Stay tuned to the Copeland Motorsports social media pages for news, information, and photos from the event courtesy of RTD Media and Management.